This is my first book and was published on 3.10.16. I wrote the book to enable people to get the best out of the Prumihimo Disk. My aim was to write a concise hand book, which would be easy to use and crammed with instructions and inspiration. There are four project chapters covering the four main ways of braiding with beads and each chapter contains two brand new projects. The first one is intended to practise the technique and the second one is more advanced. Throughout the book you will find different braids snaking through the pages. All of these braids can be made using the 4 main techniques and by substituting the beads or cords to achieve different effects. Two different methods of finishing off the braids are explained and you will also find useful chapters on materials and tension and sizing. I finish the book with chapters on trouble shooting and suggestions of how you might take your braiding further. Single Beading – learn how to position the beads so that they line up along one side of the braid. The first project is a sparkling bracelet resembling what is known as the tennis bracelet and the second project is an embellished necklace design featuring two-hole daggers. Double Beading – learn how to make a braid with beads on two sides of the braid. Simple stacking bracelets are the first project and the more advanced project is the book cover design, which is made with pip beads and superduos. Triple Beading – learn how to add another row of beads so that beads are postitioned on three sides of the braid. The first project is a versatile bracelet featuring pearls or other 6mm beads. The second project is the most complex in the book, but it teaches how to incorporate beads of much larger sizes, opening up a whole new area of design posibilities. Quadruple Beading – learn how to get beads on the fourth side of the braid. The first project is a multi-braid bracelet and the second project teaches the technique of using large beads in the centre of a design. The book has been beautifully photographed by Michael Wicks, who specialises in craft and product photography and it has been printed and bound in the UK in a handy 16cm x 16cm format. The book can be purchased from this site as a package together with a Prumihimo disk and an additional tutorial. I am often asked where I get my materials, so here are some of the suppliers I used for the designs in the book. However, I aimed to use beads and cords which are easily available in most countries, so a visit to a local beadshop or a search on the internet should provide everything needed. It is also possible to substitute the materials for similar ones. The chapter on Materials offers guidance on what will work well. spoiltrottenbeads.co.uk – wide range of cords, seed beads and clasps. 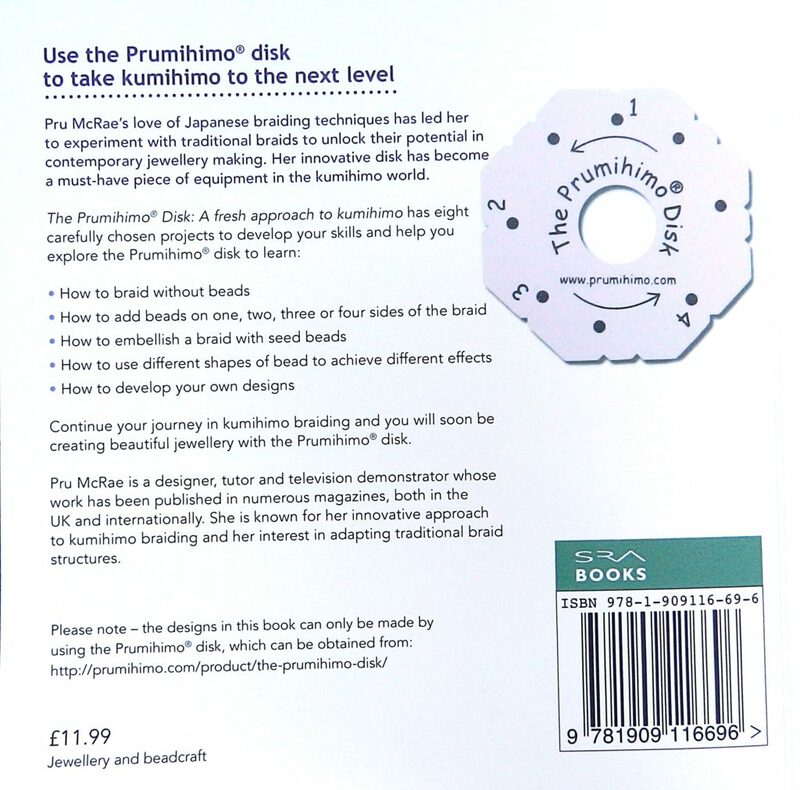 Also stocks the Prumihimo book and disk and I teach at workshops in the store. stitchncraft.co.uk – wide range of cords, seed beads and clasps. 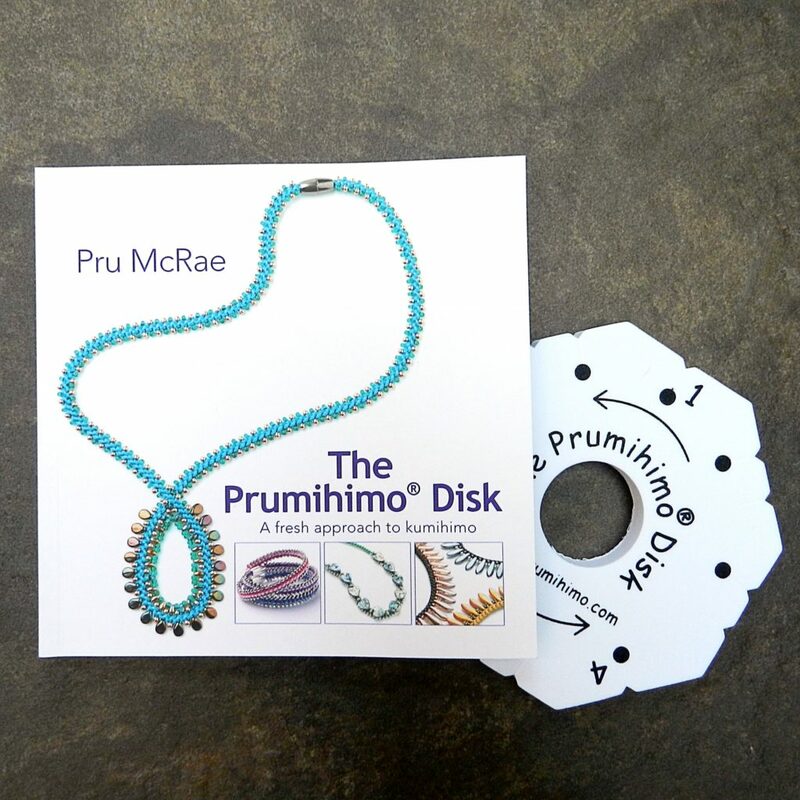 Also stocks the Prumihimo book and disk and I teach at workshops in the store. riversidebeads.co.uk – particularly good range of end caps and clasps in different sizes and colours. Lots of cords and seed beads also available. Stockist of the Prumihimo book and disk and I teach at workshops in the store. Attends lots of shows around the country. glitznkitz.com – wide range of cords, seed beads and clasps. The purple and gold colours on page 34 were put together by owner, Jamie North. Canadian based, so good for North American sales. thesouthamptonbeadshop.co.uk – good range of chaton montees, both Swarovski and chinese crystal, for project 1.
jewellerymaker.com – good for gemstones and metal seed beads. I appear as a Guest Designer on live shows and also teach at workshops. bargainbeads.co.uk – good for waxed cord, satin cord and ribbon. Changing selection of large-hole beads for project 8.